I have two boys. Easter is a beautiful holiday but if we’re being honest, it’s pretty… well… pretty. And a little on girly side. In an effort to man up this holiday a bit, I took the boys’ Easter baskets and made them a little tougher this past weekend. They’re still sweet enough for the Easter Bunny, but just look a little more boyish than that sorbet colored basket up there. Spray paint, ribbons, and a glue gun. That’s all you’ll need. If you’re going to try this at home, I’d get more spray paint than you think you need. The wood of the basket really soaked it up and I could have used an extra can. 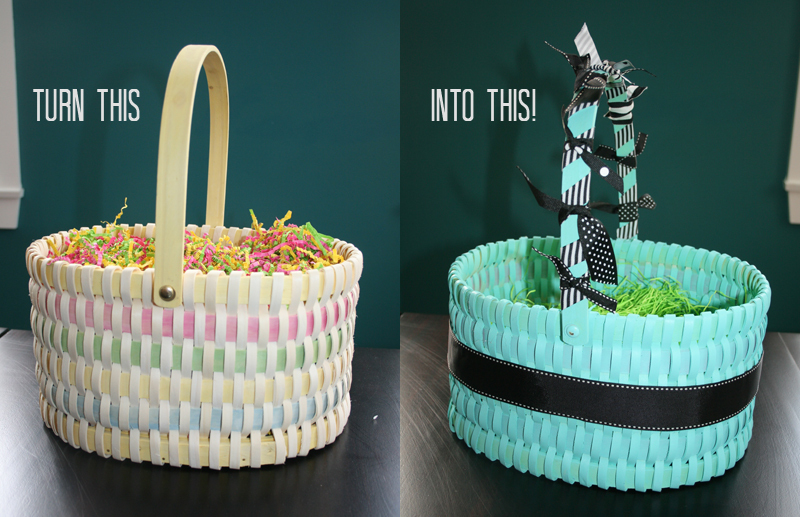 I used the glue gun to glue the big ribbon on the basket because I didn’t want to tie a bow… not manly enough, right? I wrapped and knotted little ribbons all over the handle and I have to say, I think it looks pretty legit for a boy on Easter morn. What do you think? 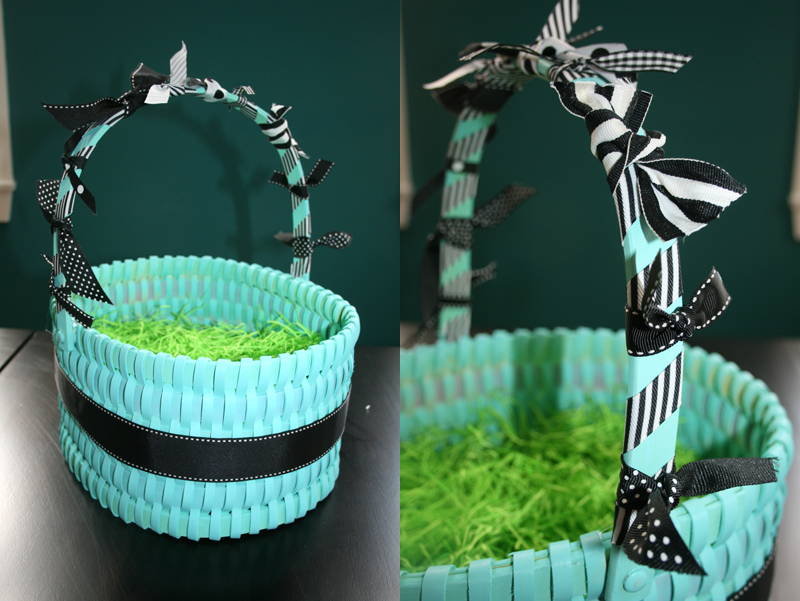 This entry was posted in how to's and tagged blue easter basket, boy easter basket, easter basket ideas, easter basket unique, fun easter basket by Annika. Bookmark the permalink. Hi! I wanted to let you know I came across this post and loved it so much that I featured it on my blog! You can like to it from your blog if you’d like http://www.stylewithwisdom.blogspot.com! Thank you so much for the inspiration!